Chubbsafes offer a massive range of safes for a wide range of applications. 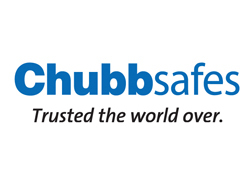 Chubbsafes are a leading international secure storage supplier who provide solutions for cash and valuable storage, data and document protection. Chubbsafes has a strong family values with the company management having been in the same family since foundation and have been producing high quality reliable safes for almost 200 years.